The truth that Gaddafi had no “adopted daughter” has been known since before the 1986 raid. But our media went forward with the propaganda and disinformation anyway. NBC’s Andrea Mitchell repeated the lie in a February NBC Nightly News report this year. However, many in the media are now publicly starting to have second thoughts because documents obtained from the Gaddafi family compound in Libya show that Gaddafi did have a daughter and that she did not die but lived and studied to be a doctor. This is “Hanna” or “Hana,” depending on the spelling. The strange turn of events suggests that Gaddafi, after using the dead “adopted daughter” story for anti-American propaganda purposes in 1986, raised a real daughter by the same name. Why? 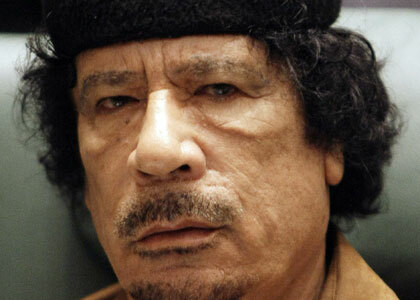 Gaddafi was always considered unstable and his behavior cannot be rationally understood. But the short answer is that he thought he could get away with it. And he almost did—until his regime began crumbling and the secrets started leaking out. The big loser in all of this is not only Gaddafi but his dupes in the media, led by Andrea Mitchell of NBC news. Slavin’s comments have been on the record for about seven years. Mitchell and others ignored them. Why? The stories made Reagan, who ordered the raid, out to be a cold-blooded child-killer. The truth would have made Gaddafi out to be a cynical exploiter of the Western media. The fact that a well-known diplomatic correspondent such as Slavin knew the truth and went on the record about the nature of the lie did not stop the media from repeating the lie many times over the years. This demonstrates how untrustworthy the media can be on a sensitive issue with international importance and ramifications. In this case, they preferred to air Gaddafi’s lies rather than report the truth, even when their hero Obama was preparing to wage war on him. If it is this easy for a global terrorist to deceive the media, what about their coverage of other matters, such as the Obama Administration’s foreign policy? Obama waged war against the Libyan regime, after Gaddafi gave up a nuclear weapons program and turned on al-Qaeda. Where are the investigative stories into the nature of what Al-Jazeera calls the “pro-democracy” rebels? It is yet another media failure. Increasing doubts about the “adopted daughter” death story have surfaced only recently as the Gaddafi regime was falling and the media have wondered what happened to his family members. But it wasn’t just the Libyan “state media” which had reported her death. Many in the U.S. media had done so as well. And the “speculation” that the story was propaganda was obvious from the time of the 1986 raid when it was clear, based on the evidence, that Gaddafi did not have a daughter. An August 22 New York Times article on Gaddafi’s “family tree” listed no member named Hanna or Hana. Yet, other stories talk about her life and schooling. Since she had “never before been mentioned,” shouldn’t this have caused the Post and other media to question whether she had died? Any good reporter would have recognized it as propaganda from the get-go. But in the confrontation between Gaddafi and Reagan, the media chose Gaddafi. The liberal media regarded Reagan as the villain, not Gaddafi. But if “many Libyans” in Libya were doubting it, why did Andrea Mitchell repeat it as fact in February of this year, even to the point of showing film footage of Gaddafi visiting a hospital? The answer, again, is that it made Reagan look bad. In a separate story, the Irish Times said that Hana’s phony “death” may have been a “myth to spark sympathy” for Gaddafi, explaining, “For decades her name was invoked by Muammar Gadafy and his apologists as proof of his personal suffering as a result of the US bombing of his Tripoli compound in 1986.” Yes indeed. But his “apologists” include many members of the American media who bought the “myth” hook, line, and sinker. 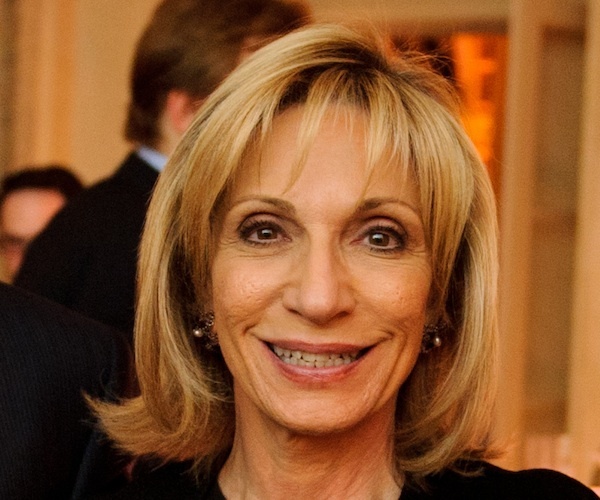 Andrea Mitchell, who took the bait, should now have the decency to resign. *This is a special report from the AIM Center for Investigative Journalism. You can read Part One here.